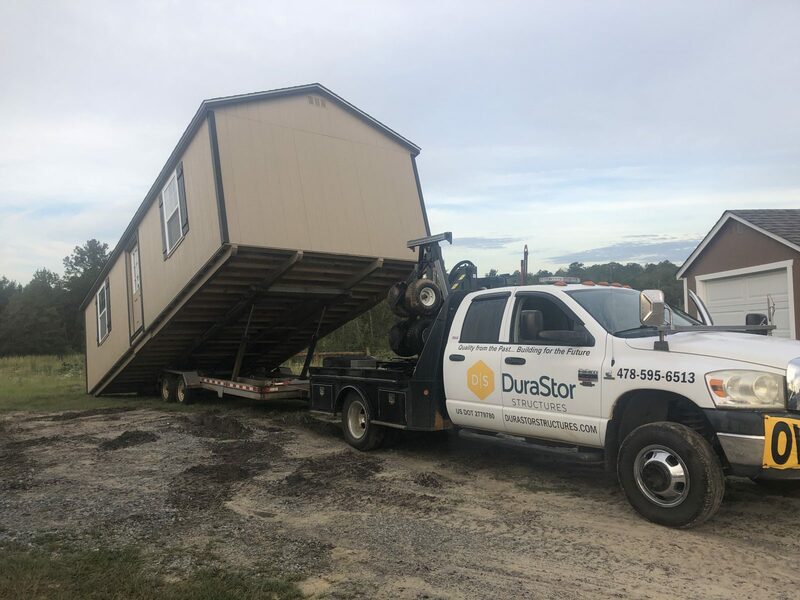 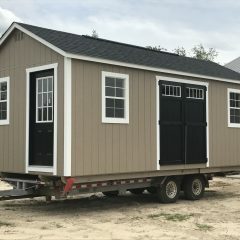 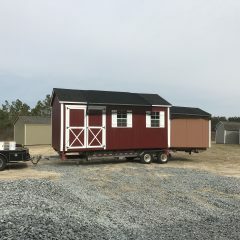 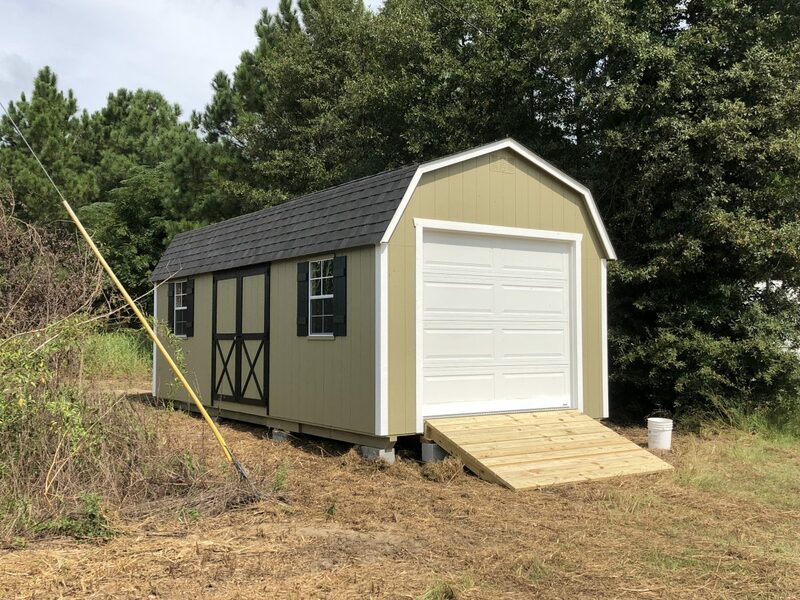 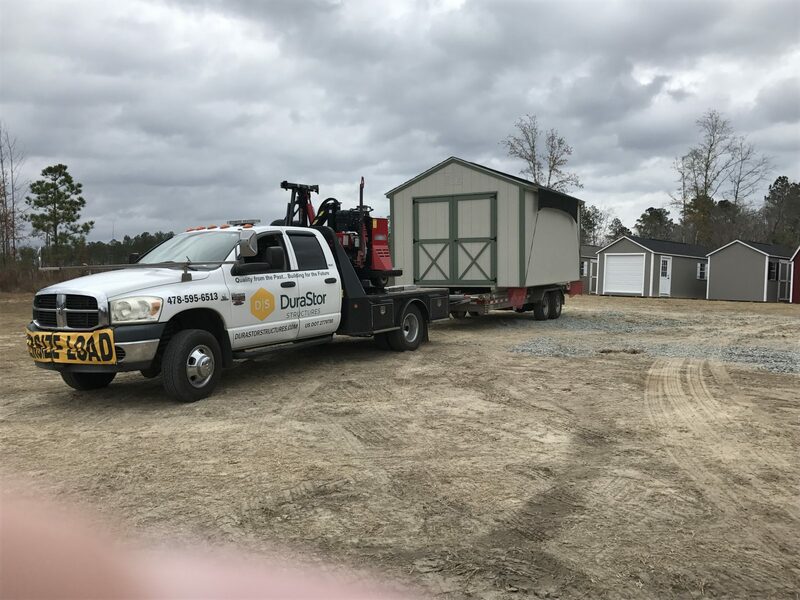 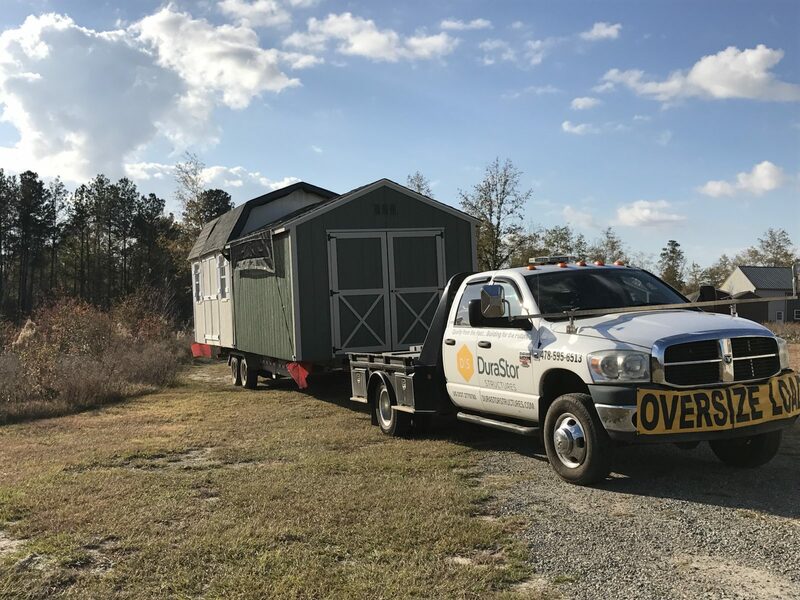 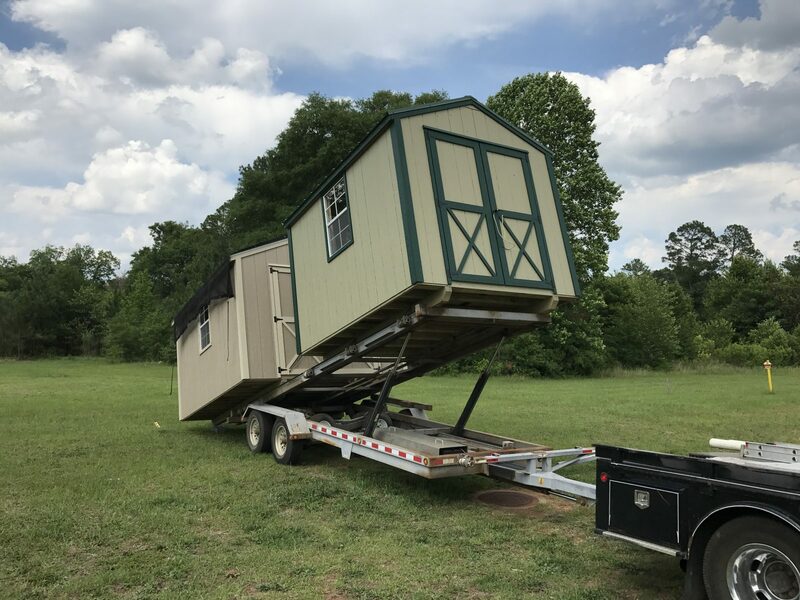 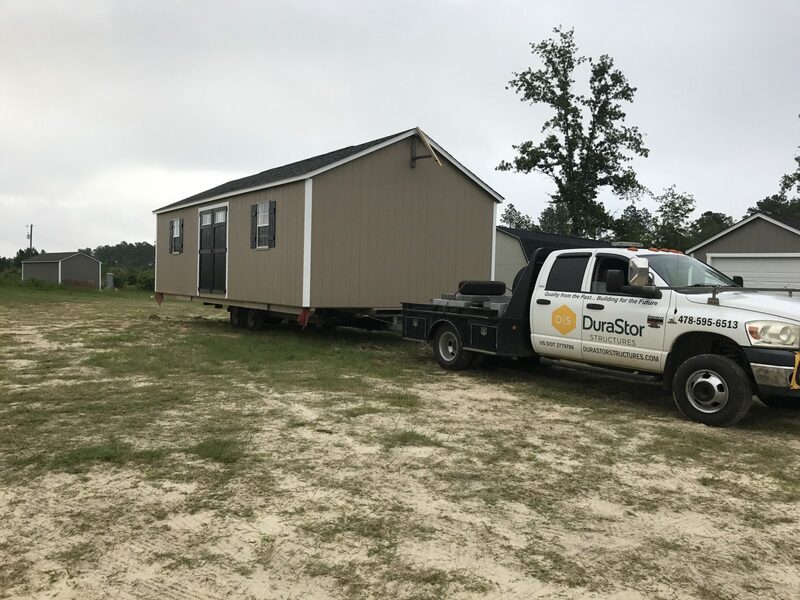 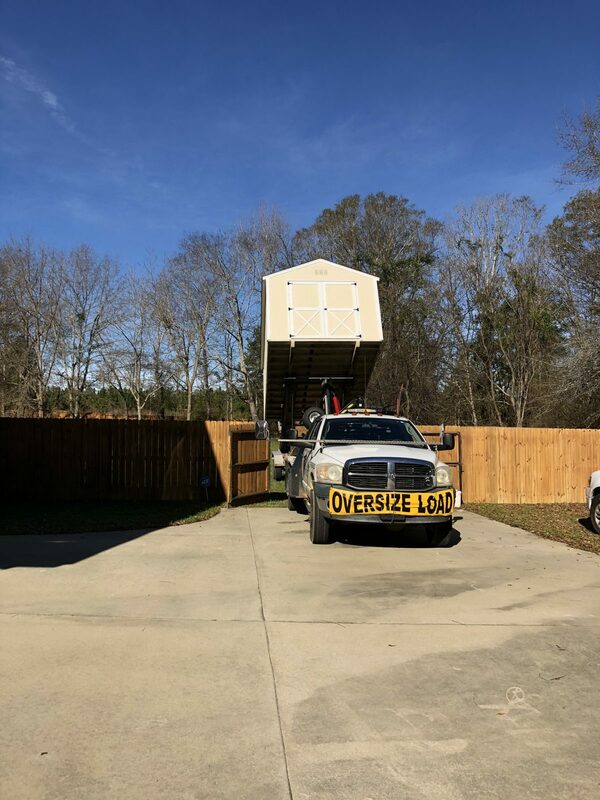 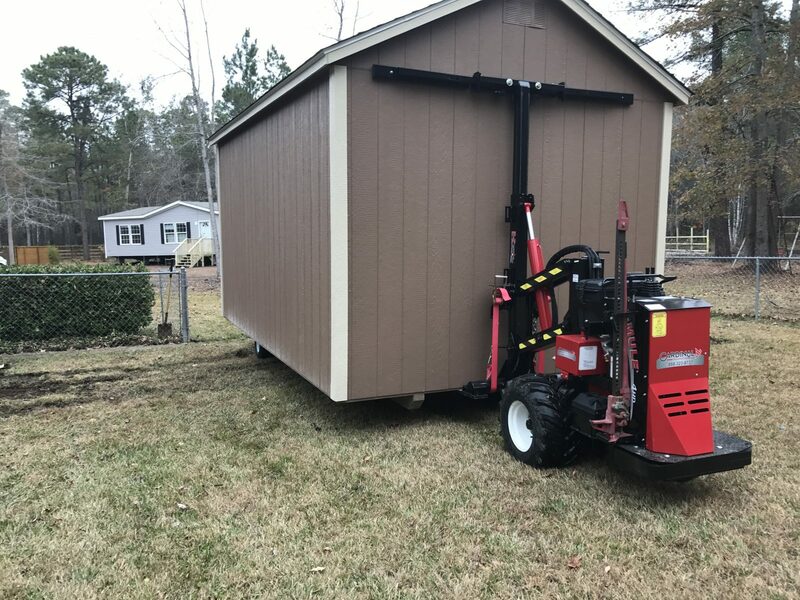 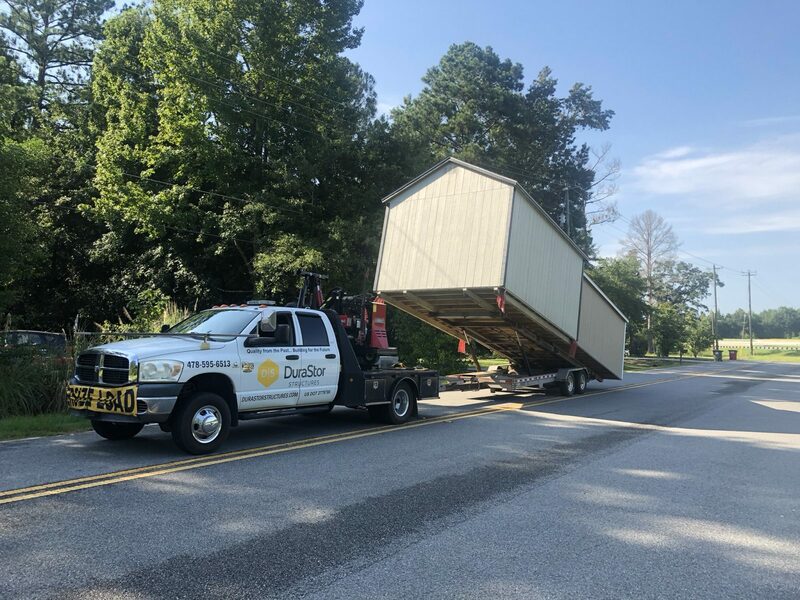 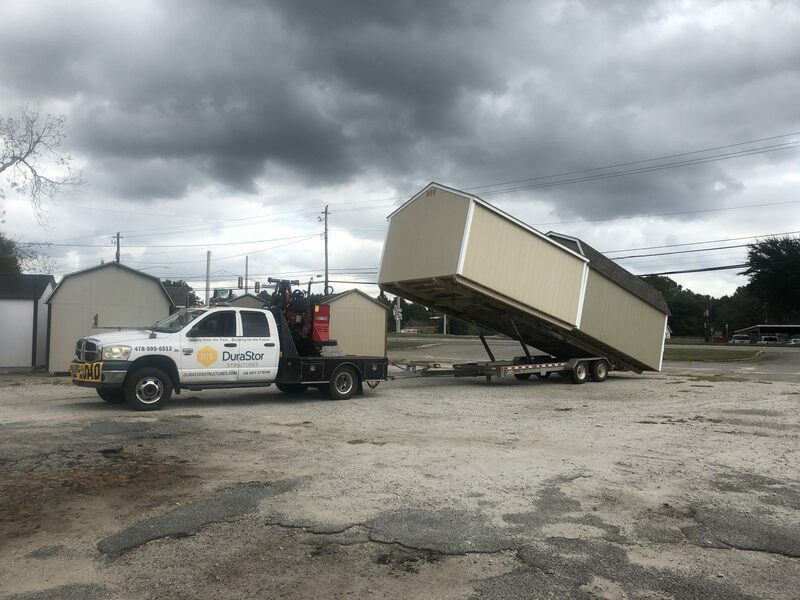 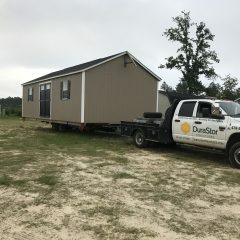 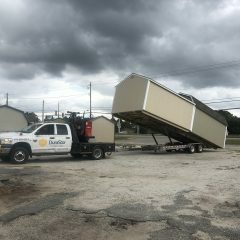 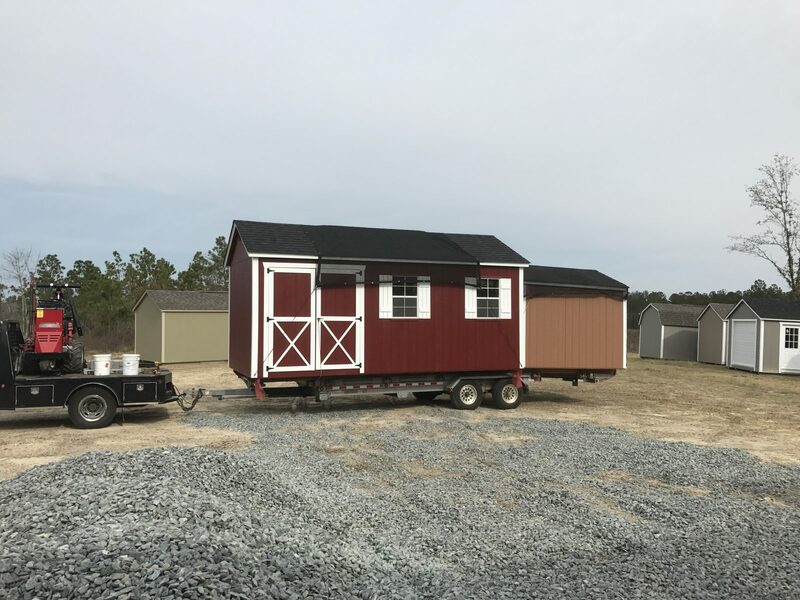 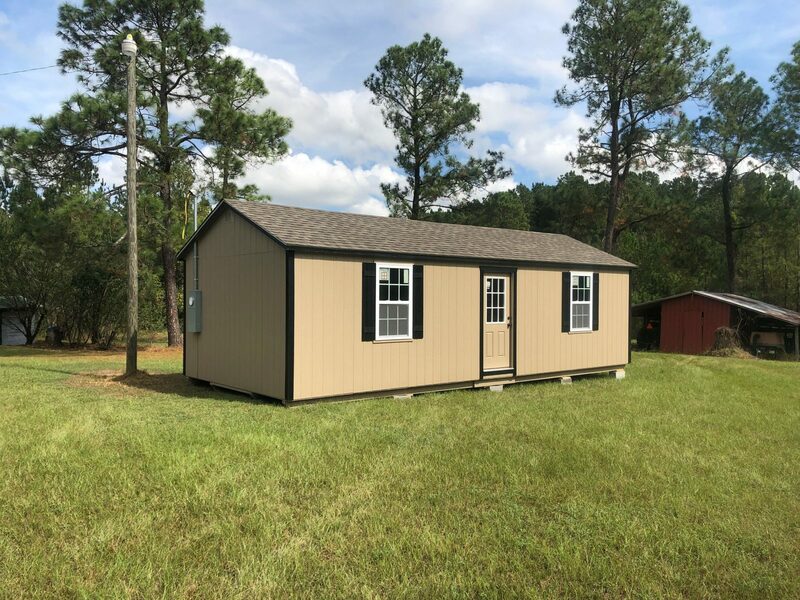 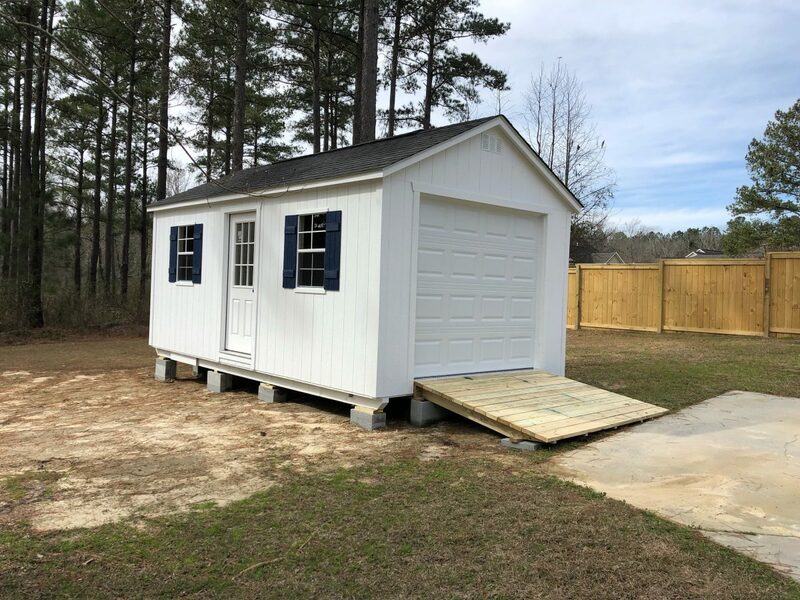 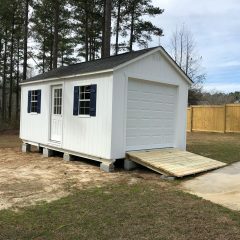 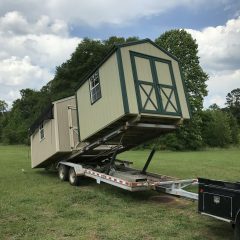 Our sheds are delivered on a custom trailer that’s designed to place a shed just where you need it while minimizing damage to your lawn. 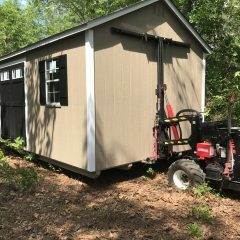 We also use the shed mule for storage shed delivery as needed. 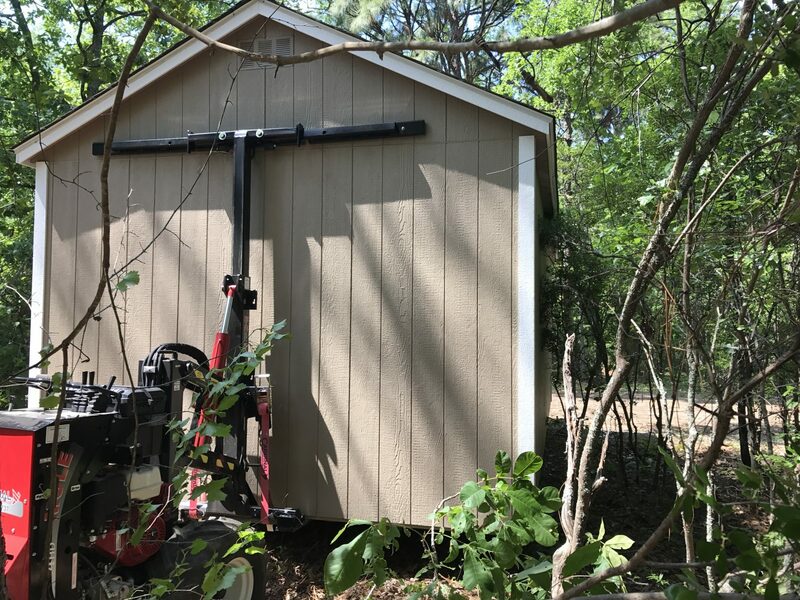 This allows us to maneuver in tighter spaces with less disturbance of the surrounding landscape. 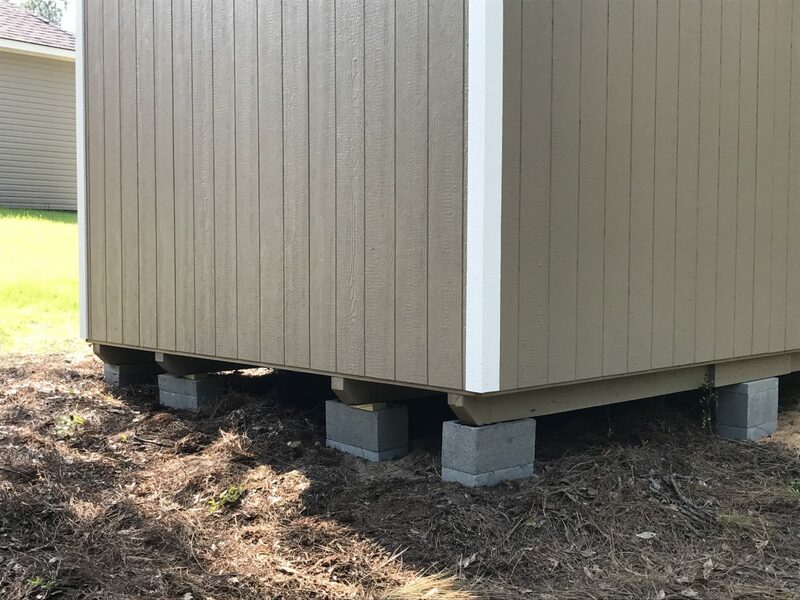 We provide blocking to level your shed on sites up to 12” off level. 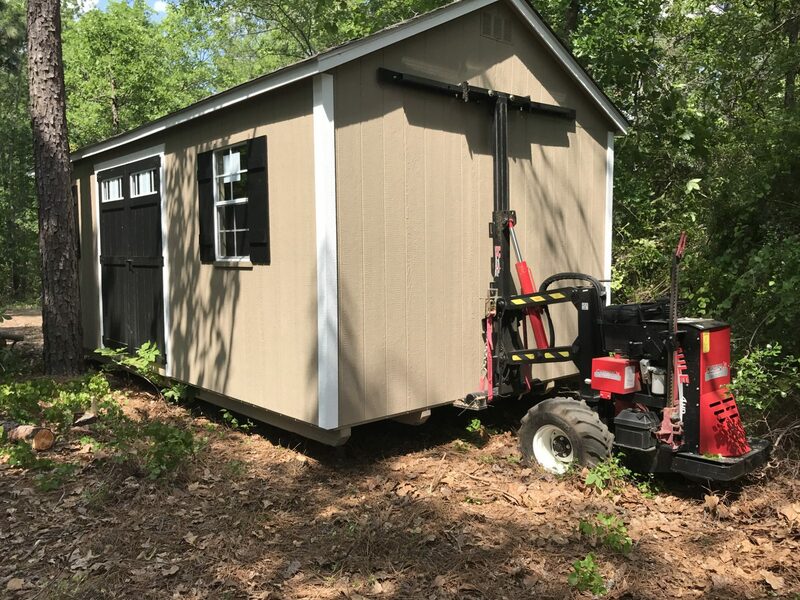 If the ground slopes more than 12” over the length or width of the shed we recommend having the site leveled before delivery. 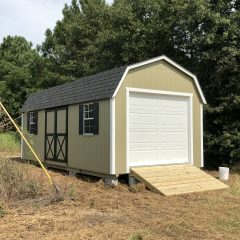 Our sheds are installed and ready to go on the day of delivery. 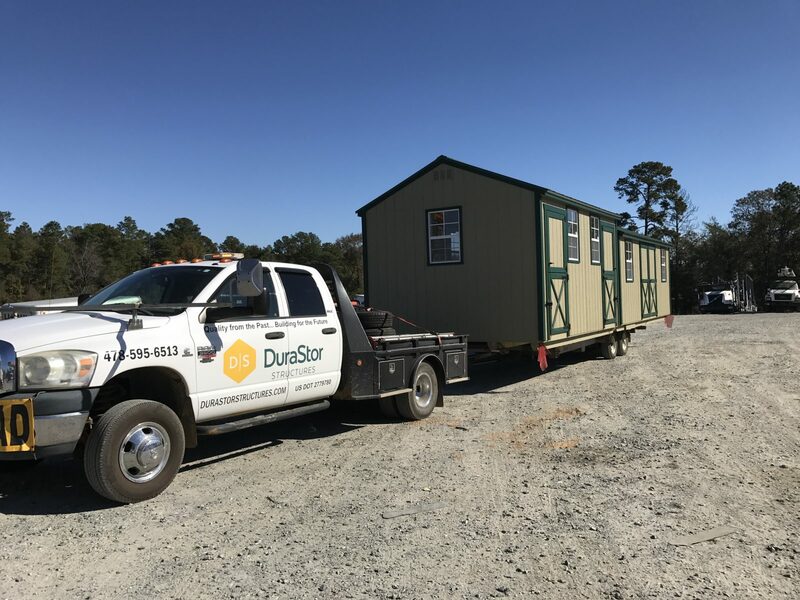 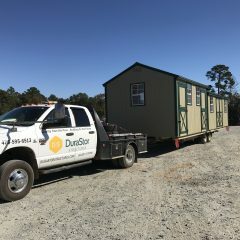 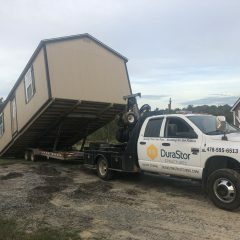 Our superior delivery service is included in the package when you purchase a DuraStor building. 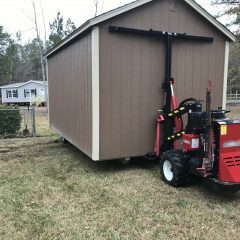 How much does shed delivery cost? 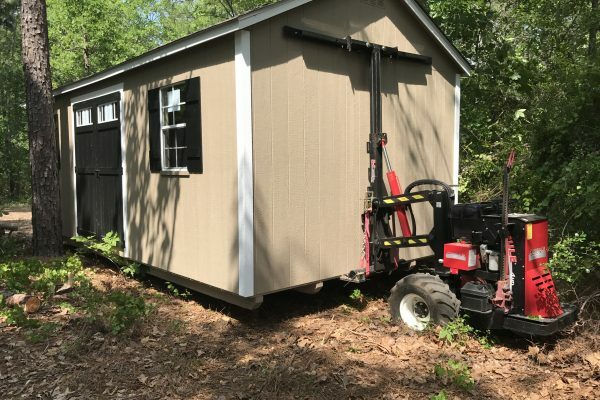 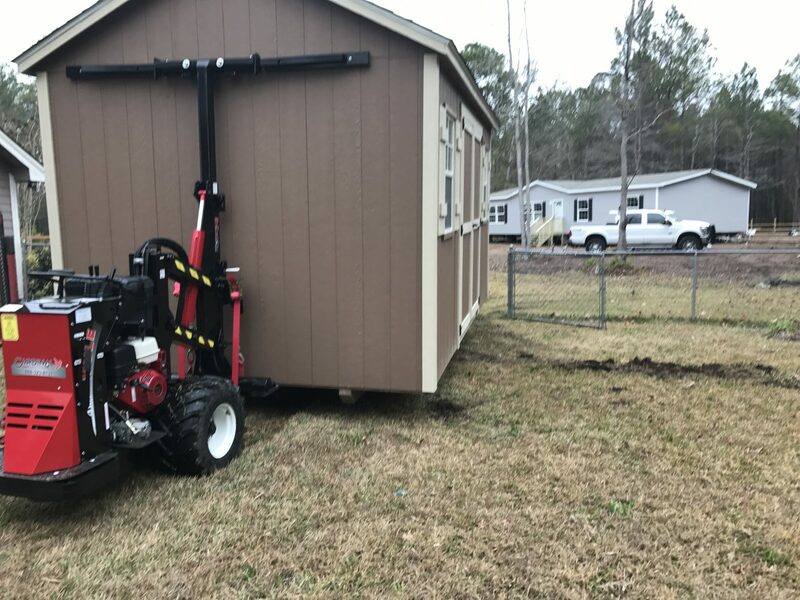 Figure out exactly where you want to place your shed. 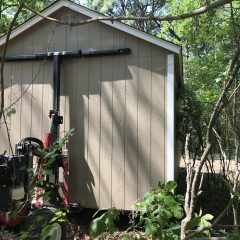 Beware of property lines, swampy areas, buried wires, etc. 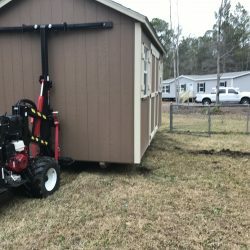 Remove barriers (tree branches, yard ornaments, etc). 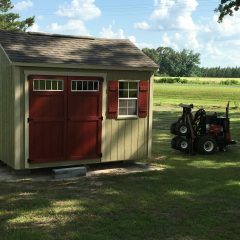 If your yard has a fence make sure the gate is wide enough to allow the shed to pass through. 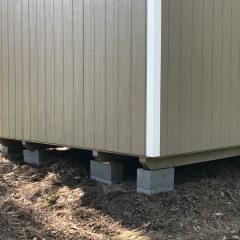 If the ground is more than 12” off level, the site should be leveled before delivery. Do I need to be on-site on the day of delivery? 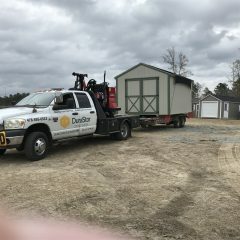 Yes, we ask that you be present on the day of delivery to make sure we place the shed exactly where you want it. 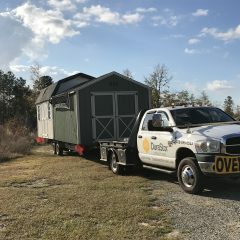 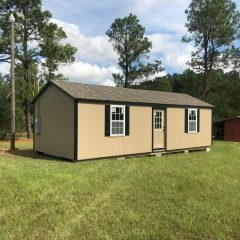 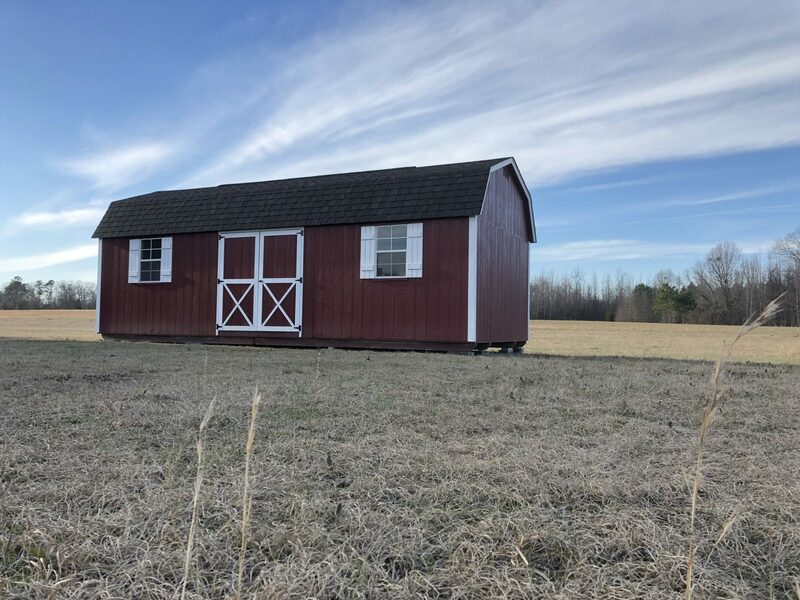 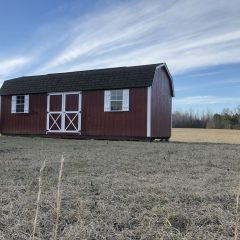 Can you move my old shed to a new location? 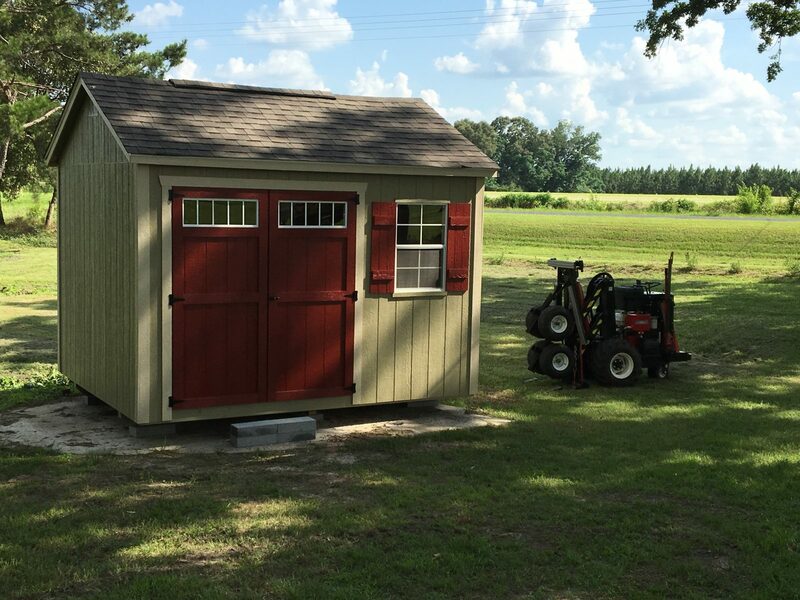 If you’ve purchased the shed from us we’ll do our best to help you with that. 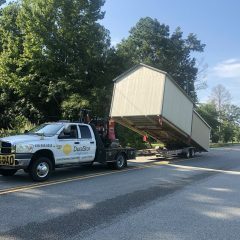 Contact us to request a shed moving quote. 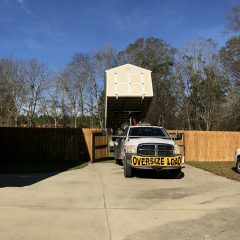 Do you have a delivery question that isn’t answered on this page? 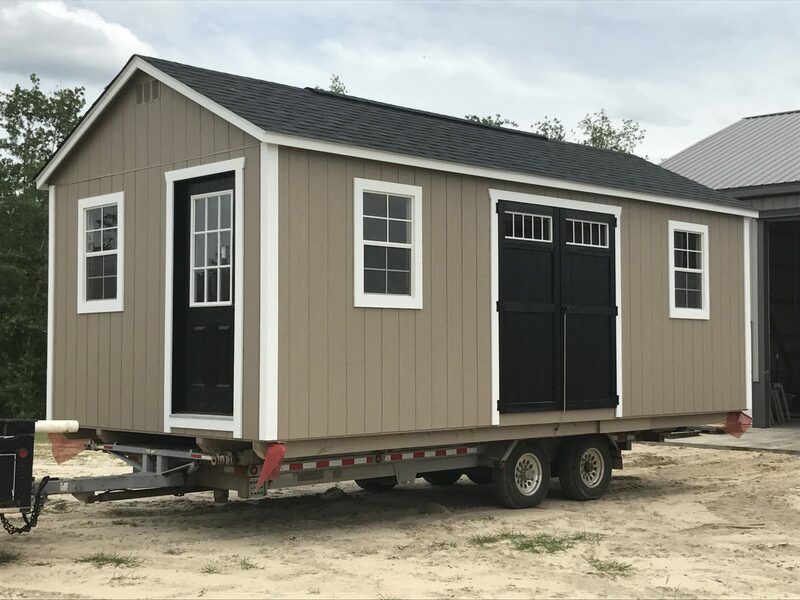 Feel free to give us a call or fill out the form on our contact page and we’ll do our best to provide an answer!